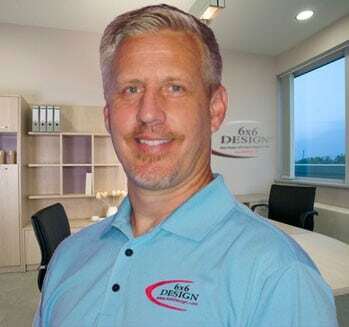 6×6 Design, LLC was formally incorporated in 2007, however John Kelly, president and owner, has been hand-coding, designing and search marketing websites since 2002. John insists on being hands-on in every project that comes in from start to finish to ensure his level of quality. 6×6 Design only staffs four people to accommodate a wide variety of business website development needs and to ensure a very tight, personal customer service experience. John Kelly’s experience with website design and development began with an interest in his wife’s online business in early 1999. She had a website that didn’t justify it’s expense or bring in new business. John became curious about how he could improve upon her existing website to find her more clients. His goal was to get it found on page one of the organic (free) search engine results. 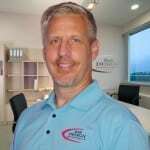 Two years later after his wife’s client base grew over 400+ from her new website that John made, John found himself passionate and fully engrossed in search engine marketing and website design/development. John is mostly self-taught through a combination of numerous books, online courses and numerous mentors in the field of web design and development. We highly suggest reviewing our Planning Your Website checklist next. This list contains questions we commonly ask our clients to help us better understand your needs. When you’re ready, simply contact us for a free consultation and estimate here or call (585) 861-7483.